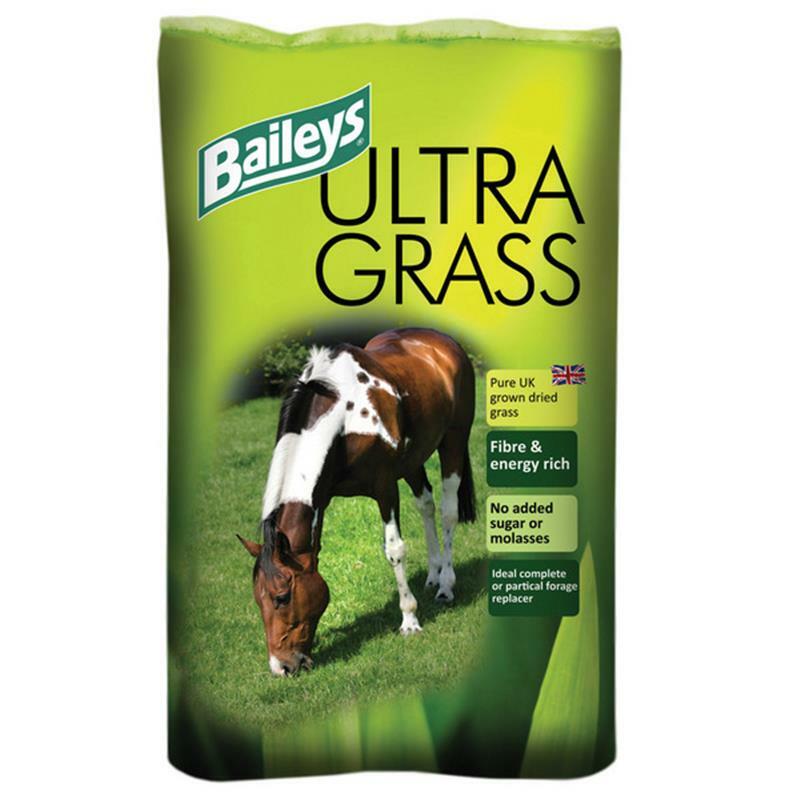 Baileys Ultra Grass - 12.5kg. Baileys Ultra Grass is UK grown with no added sugar or molasses. Pure high-temperature dried chopped grass with a very light dressing of soya oil - ideal for bringing the taste of pasture into the feed bowl. Appetising and rich in fibre with a delicious aroma. Digestible Energy 10.5MJ/kg, Protein 11.5%, Oil 3.5%, Fibre 22%, Ash 7.5%.